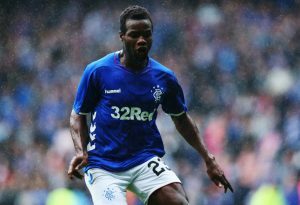 At the start of the season, we won’t be wrong in saying that some Rangers fans would have hoped that Lassana Coulibaly had a clause in his loan deal which would have given the Gers a chance to sign him permanently in the summer. The midfielder had played a crucial role in the Europa League qualifiers and also impressed in the league in his first few matches. However, an injury layoff changed everything, and the midfielder hasn’t been the same since then. The Angers loanee seems to be lacking the heart and confidence to play in midfield. Initially, he was a diligent player who made some crucial contributions in the attacking half of the pitch. The fans were raving about his performances and quite a few would have taken him at the club at that time. The tables have turned now, and Coulibaly is entirely out of the frame since the winter break. Moreover, the arrivals of Glen Kamara from Dundee and Steven Davis from Southampton only put him further down the pecking order at the Ibrox Stadium. The fact that Gerrard brought in Kamara this month instead of just signing him in the summer suggests that the gaffer has lost confidence in the Mali international. Ross McCrorie, Scott Arfield and Ryan Jack are already performing well and there seems to be no way back for the 22-year-old once the season gets over. Coulibaly’s current contract with French club is up until the summer of 2021, so we are quite sure that Angers wouldn’t want to let him go for cheap. Coulibaly has still got decent potential, and maybe the midfielder has failed to perform because he is low on confidence over the past few months. However, football at the top level isn’t easy, and one needs just a few bad games to be thrown out of the picture altogether. The 22-year-old hasn’t played any part in the Premiership games so far since the break. Gerrard had earlier claimed (Herald Scotland) that he would like to sign all his major loan players permanently including Coulibaly. But now we believe the gaffer might share different views on that matter. The midfielder though should look to work hard in training for the remainder of the season, and he still might have to play a role if injuries strike the squad when the fixtures start coming in thick and fast. However, Coulibaly has definitely lost his way in the past few months at Ibrox and the signs are ominous that there is going to be no deal for him beyond this loan spell. Rangers Set To Bring In 22 Y/O Defensive Midfielder From Ligue 1 Outfit: Just The Man For Gerrard? Midfielder Wants A Permanent Move With Rangers: Should Gerrard Oblige? Steven Gerrard Target This Exciting Ligue 1 Midfield Talent: Good Fit For Rangers? Gerrard Wants To Sign These 4 Stars Permanently: Is It Realistic For Rangers?